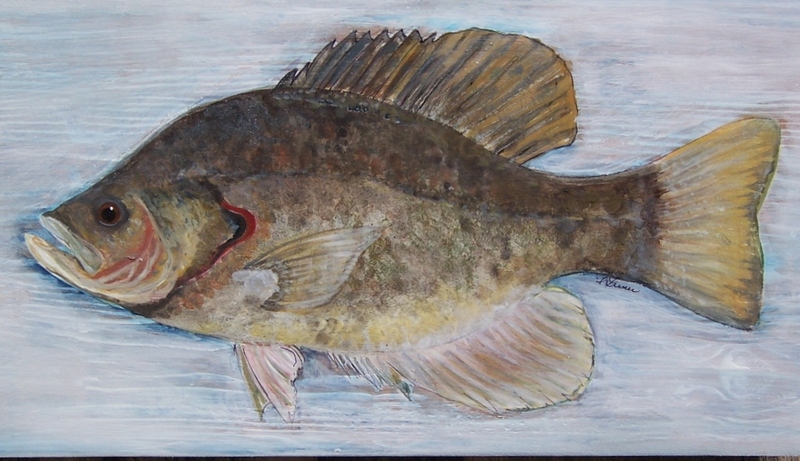 Susan Turner, artist and the owner of Brand New Day Studio located just over the state line in New Market, Al opened her member show “Gone Fishin” on February 19th and it ran through April 4th at the Artisan Depot, located at 201 Cumberland St. East in Cowan, TN. The show featured paintings (furniture and fish) reflecting her recent interest in fish as a part of her long time work in functional art. 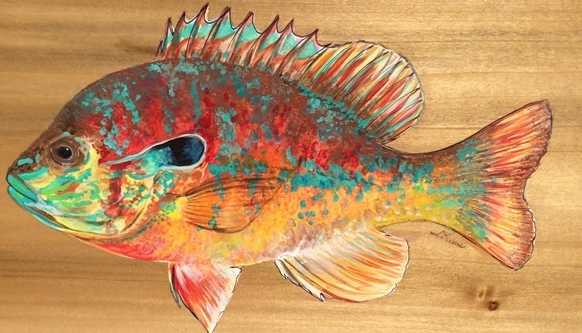 The fish she paints range from local game fish to those found in the warm waters of the Gulf of Mexico, including trout, catfish, crappie, bass, grouper, amberjack, mahi mahi and many more. 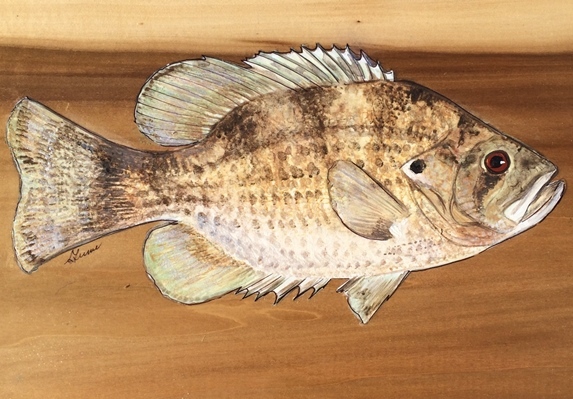 Her hand painted fishing photos on handcrafted chest of drawers will also be on display. Susan Turner is a well-known regional artist and has exhibited work in shows and taught painting workshops across the Southeast. Her work can also be seen on Facebook at Brand New Day Creations. For more information about upcoming art shows, the gallery or the guild visit us at http://www.fcaguild.wordpress.com or http://www.facebook.com/artisandepot or Diana Lamb at 931-308-4130. You can contact the artist at susanturner4224@AOL.com or by phone at 256-379-3457.